I have some good news and some bad news. 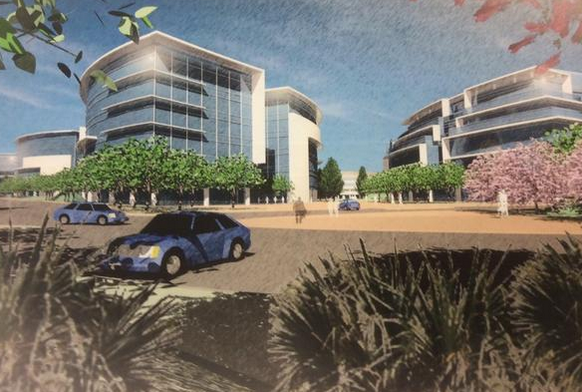 The good news is that there is still a tenant for the "Peery-Arrillaga" project in North San Jose--the largest new office project in San Jose in a very long time. The bad news is that the project is being cut down in half from 2 million to 1 million SQFT (974,000 SQFT of office and 24,000 SQFT of space for an activity center). 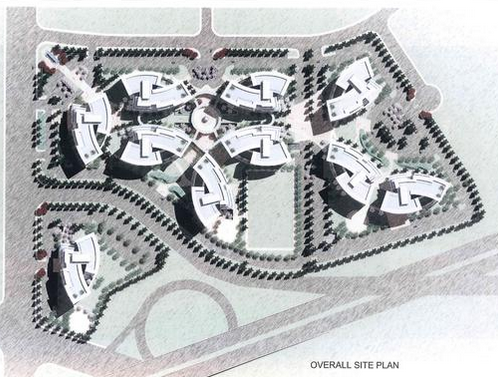 The project was first proposed two years ago with a secret tenant and received city approval last year. 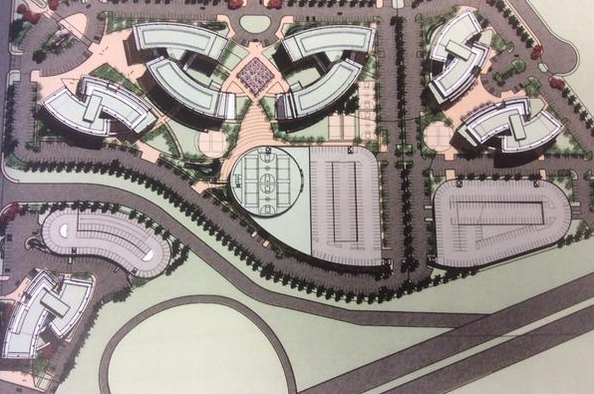 The massive office complex will still have the same curved glass-wall design, but the buildings will be much shorter. Instead of rising eight stories, most buildings will only be four stories and the parking will be in three giant structures along 101 as opposed to being underground. It is still an epic amount of premium office space that will bring thousands of new jobs (and tax dollars) to San Jose. The developer is expected to pull building permits by the end of this year, with tenant occupancy in 2017. If this moves forward, it also means that Bay 101 will need to be moved--likely across the street to the San Jose Airport Garden Hotel property. All of the changes are bad and very suburban. That location needs higher-density building, not low rise structures dwarfed by huge parking garages. Very1990s. Actually, the 1950's, when the US was the undisputed world economic power. There isn't enough demand to drive that kind of height. In any event, tech has shown repeatedly that high rise hurts employee efficiency. Smoke that, Urbanist wonk: INEFFICIENT.